Composed by Bob Good. Repertoire, Latin, Recital. Score, Set of Parts. 24 pages. Published by Surrey Dance Music (S0.445171). 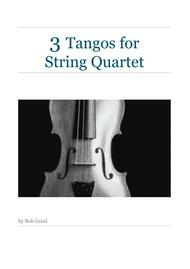 A collection of three tangos for string quartet, each about 2 minutes long.